The U.S. Marine Corps are the first boots on the ground in a crisis. On the front lines, they must be able to power up securely without plugging into utilities. They require nothing less than completely reliable and cost-effective energy independence. Researchers from Sandia National Laboratories are collaborating with the Marine Corps to increase their energy security and reduce fuel dependence through alternative technologies, including renewable energy and microgrids. The Marine Corps recently began a new effort with Sandia to develop analytic software tools that will give military decision-makers the quantitative support needed to achieve their long-term renewable energy goals. The collaboration builds on modeling, simulation and analysis work that Sandia began in 2012 with the Marine Corps’ Expeditionary Energy Office. The new endeavor takes advantage of Sandia’s breadth and depth of experience with microgrids — localized grids that generate and consume power and can run either independently or connected to the larger utility grid. 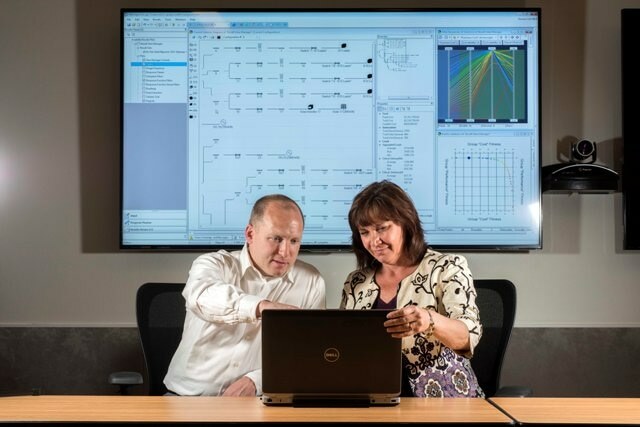 The project primarily uses a Sandia-developed software tool known as the Microgrid Design Toolkit (MDT). The toolkit allows microgrid designers to understand different technology options and make smart decisions about technology solutions early in the design process. The software uses powerful search algorithms to identify potential trade-offs among factors such as cost, performance and reliability. Sandia computer scientist John Eddy is one of the original developers of the MDT and is currently the project’s technical lead. He said the tool’s unique multi-objective optimization offers many different solutions to build a system. On the new project, Sandia will customize the toolkit to enable the Marine Corps to make smart choices in planning investments in microgrids and renewable energy technologies, such as solar and batteries and, further down the line, wind. Sandia originally developed the technologies underlying the MDT through sponsorship from the Department of Energy and Department of Defense (DoD) to assess and design reliable and resilient microgrids. Applications have included the award-winning Joint Capability Technology Demonstration program known as the Smart Power Infrastructure Demonstration for Energy Reliability and Security (SPIDERS) program and the design of the microgrid-based backup power system for the city of Hoboken, New Jersey, in the aftermath of Hurricane Sandy. A beta version of MDT is also available for public download.